In this video review, Krista shows us what a "day in a life" is like using Little Musician and demonstrates how she uses the software with her kids. Her children are from ages six to seventeen years old. Four of them have some background on music but are untrained musicians. Krista uses Little Musician to see how her children would respond to the Little Musician content. As they proceed with the lessons, one of her older children finds the information she received really valuable. She said that even though the software caters more towards toddlers and young children, she still find some of the lessons challenging. She also find the lessons not hard to follow, easy to understand and simple to setup. Krista, on the other hand, is a trained musician. She took piano lessons during her childhood and learned music theory. However, she said she never quite understood Solfège and for her, that's the most fun part of Little Musician. She enjoyed learning Solfège as much as her children and loves that the software teaches music chords as well. 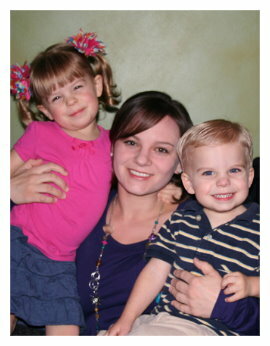 Discover more about Krista, her children and their experience with Little Musician by watching her video review. Krista is the president of Intellectual Baby LLC, creators of MonkiSee. To learn more about MonkiSee and her company, visit her website at MonkiSee.com or visit her online blog.